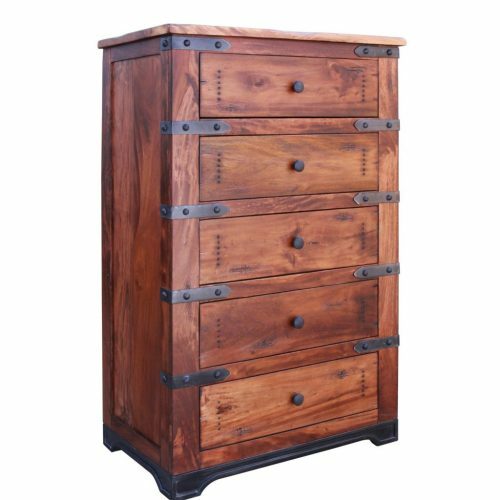 The Parota 5 Drawer Dresser is a rustic and industrial ambiance for any bedroom in the home. 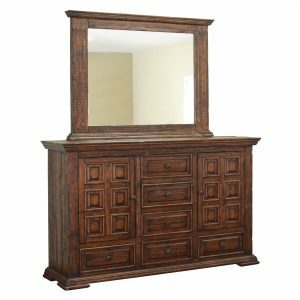 The natural character and beauty of the wood grain combined with wrought iron accents bring out the rustic and industrial nature of the Parota Dresser. 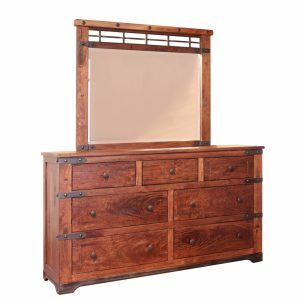 Solid wood drawers feature front English dovetail joinery and ball bearing glides. 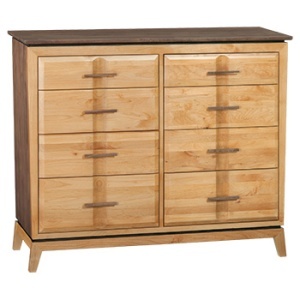 Top drawers on Dresser are lined with durable microfiber.